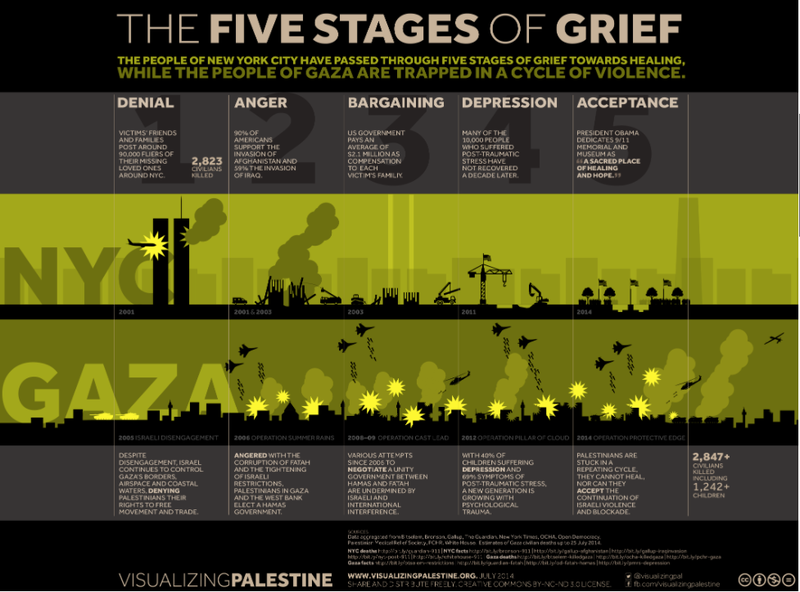 But perhaps the most powerful comparison between New York and Gaza is the latest info graphic from Visualizing Palestine on ‘the five stages of grief’: it’s effective, I think, because it’s original and you have to take your time over it. 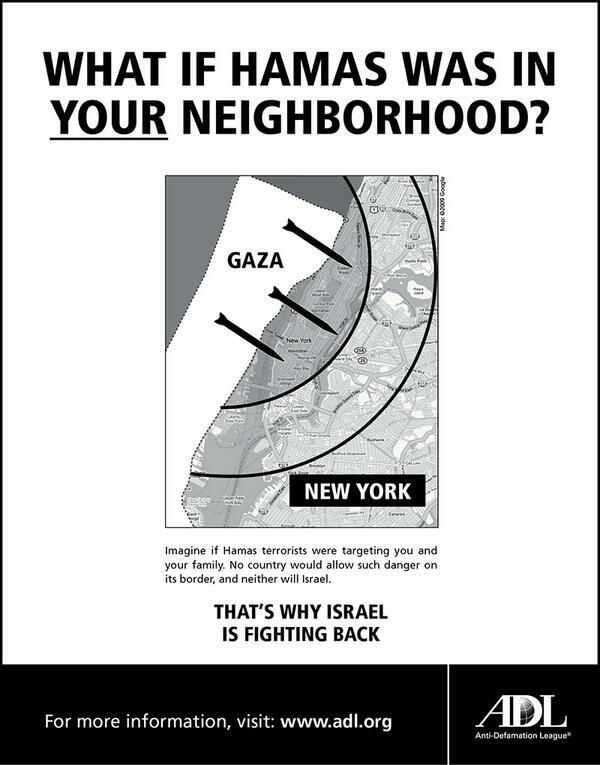 And anything that encourages people to take time for Gaza and its people is worth it. UPDATE: I’ve just had a kind note from Léopold Lambert reminding me of his ‘War in the Manhattan Strip’ that he published on the Funambulist a couple of years ago; I recommend reading the accompanying text…. 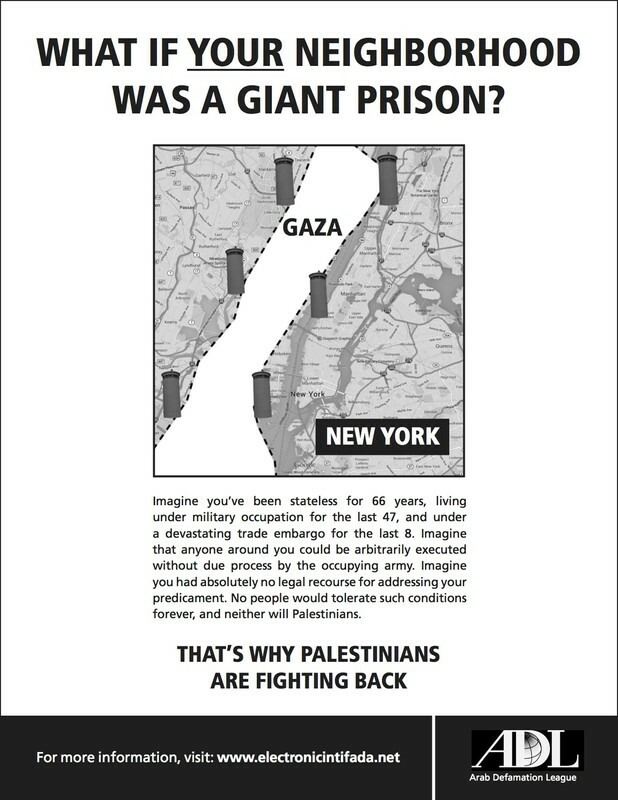 This entry was posted in cartography, Israel/Palestine and tagged Gaza, maps, New York City by Derek Gregory. Bookmark the permalink.